Data is the backbone of all your business intelligence. Among other things it helps identify new market opportunities, makes operations more efficient and enables faster decision-making. It also allows for a deeper understanding of your customers to enhance their buying experience, increase profitability and create targeted, relevant marketing campaigns. However, in the same way it would be unwise to listen to bad advice or poor research, if data is to be used as the basis for any strategy then it needs to up-to-date and accurate. It is natural for data to get dirty. A general consensus, including our own findings, is that consumer data can decay at a rate from 2-6.5% per month. B2B data is even more prone to it, and can decay at a rate of 70% per year. Customer and business information has a limited lifespan, as worrying as it sounds, there’s nothing you can do to change that. For example, research reveals that 30% of people change jobs annually, with 65% of job titles, 43% of phone numbers and 37% of email addresses altering every year. Add to this people taking new surnames, businesses changing their names or relocating to a different address and it’s easy to see how rapidly data can become inaccurate. While data decay might be out of your control, organisations can take some responsibility for the condition of their data, particularly at the points of collection. This includes many common data governance problems such as the creation of duplicates, inappropriate data entered into the wrong field or even missed from fields completely. Other problems affecting the quality of data can arise from disconnected management systems, or as a result of data migration or integration projects. What problems can dirty data cause? What good is a personalised marketing message if it goes to the wrong email? How much time are your sales team wasting chasing dead end leads? How much money could you be losing by sending brochures to the wrong address? It goes without saying that bad data leads to poor decisions. A study by Gartner indicates that bad data quality is a primary reason for 40% of all business initiatives failing to achieve their objectives. The same study also found that data quality can effect labour productivity by as much as 20%. Dirty data causes high bounce rates and email delivery failures. It causes wastage and errors with direct mailings, lead to poorly targeted marketing messages and many other inefficiencies. For the marketing department, it could even see your email address blacklisted, customers unsubscribing and an increase in negative sentiment. The most obvious first step to improve data quality is to undertake a data cleansing project. 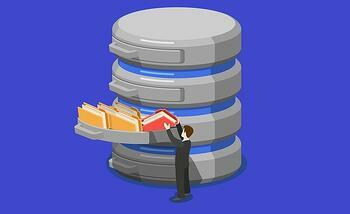 Doing so begins the process of correcting your database – removing the files that are incorrect and inaccurate, out-of-date, wrongly formatted, duplicated or otherwise compromising the integrity of your data. Data cleansing can incorporate many functions: to remove and merge duplicate data, standardise address formats, validate emails and addresses, as well as screen and suppress records against mortality, credit risk profile, user preference or internal decisions. All these can help create a foundation from which your organisation can establish a more long-term data hygiene routine and ensure that future data is cleaner and more accurate. Your organisation might collect huge volumes of data but there is always more you can learn about your customers and prospects. Data enhancement from a third party, for example, can add extra value to your data. For example, industry-specific third party data can provide additional intelligence to suit the needs of your business. This can include information relating to health, households, insurance, travel and leisure, financial services and more, complementing what you already know to form a richer customer profile. Appending can be used to fill any gaps in your data, enabling you to uncover important addresses and contact details for desirable leads and key consumer segments. Plus, running compliance checks with services like the TPS will ensure you stay within data protection legal guidelines, and prevent upsetting those customers who may have opted out from your communications. Why is cleaner data better? When you know more about your customers and have data you can trust, this means a foundation is in place for personalised messages and better response rates. 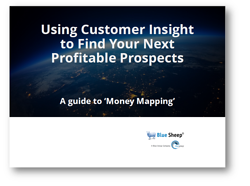 It also provides a clearer view of your best and most profitable customers (and allows you to identify similar prospects). Cleaner data will not attract fines for misuse, reduce costs and wastage and put you in good stead for the creation of the marketer ‘holy grail’ – a Single Customer View.